Fascinting site, with over 2,000 board games rated. 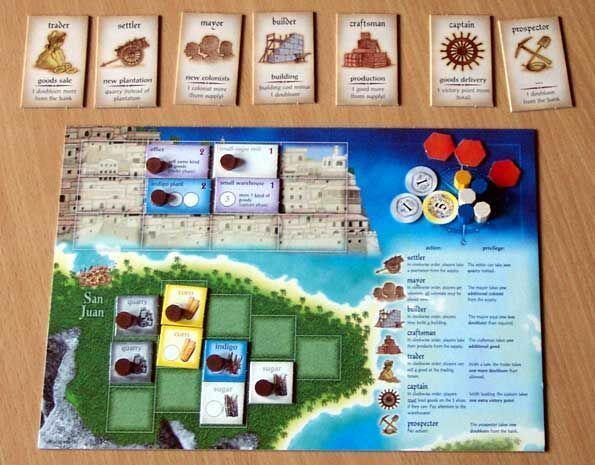 A Game called Puerto Rico is #1: The players are plantation owners in Puerto Rico in the days when the ships had sails. Growing up to five different kind of crops: Corn, Indigo, Coffee, Sugar and Tobacco, they must try to run their business more efficiently than their close competitors. A unique game system let the players choose the order of the phases in each turn, and the player who understand to employ these most effectively, will win the game.